Uluwatu Sunset tours is one of exciting Bali half day tour which is duration 7 hours. Visit Uluwatu Temple is our main destination on this trip which is one of Sad Kahyangan or you can called one of 6 group temple in Bali as Hindus follower believe as protect Bali island from bad influence. Uluwatu temple Located on the cliff bank which is offer beautiful view surrounding, especially at sunset time. Beside that on right side of temple will be performance Kecak Dance that you can watching which is one of Balinese dance that tells the Ramayana Story. Kecak Dance is a mass dance performance which describes the role of “ puppet story” namely Rama and Sita. The Kecak dance is usually shown in “Kerauhan or Mesolah”which is magically immune so it is not burned by the fire. 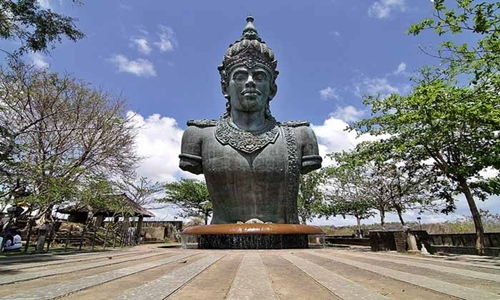 Visit GWK or you can call it Garuda Wisnu Kencana Cultural Park located in Bukit Unggasan – South of Kuta. GWK is a view of breathtaking monument, set on the high land of Bukit village, classic attractions, fantasy experience and modern technology blend in and transpire as you explore this cultural park. 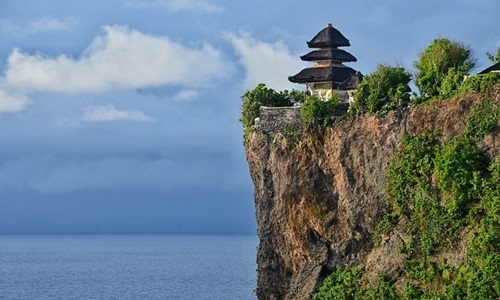 Uluwatu Temple is Hindus temple set on cliff bank, built in 11th century. Uluwatu temple is one of popular tourist attraction on Bali island which is offer beautiful panorama with spectacular sunset and beautiful view of Indian ocean from the top of cliff bank. 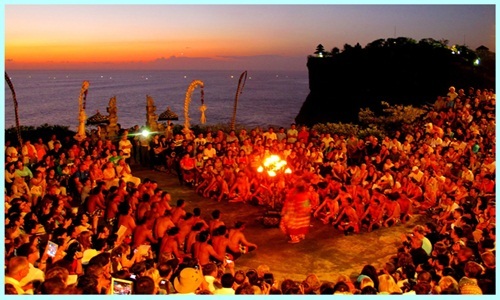 Kecak dance perfomance start at 6 pm located on the left side of Uluwatu temple. The stage facing to the Indian ocean. So when the dance perform you can see beutiful sunset view and surrounding. Kecak dance is a Balinese dance performance taken from Ramayana story. Kecak dance is a mass dance performace which describes the role of puppet story namely Rama and Sita. This dance usually shown in Kerauhan or mesolah means magically immune so not burned by the fire. Seafood dinner at Jimbaran Bay restaurant located in Jimabran village, south of Denpasar airport. Jimbaran Bay familiar with special place for grill seafood dinner, a lot of visitor spare the time to come this place just for dinner. 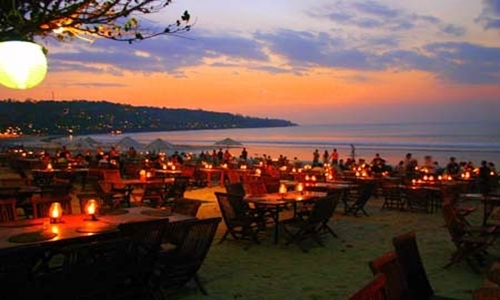 On this tour, visit jimbaran bay for having dinner is last of our tour itinerary and then back to hotel. Our tour itinerary has been designed as well as possible, however we can replace by visiting other tourist spots based on guest request if one of our itinerary have been visited. Our tour guide are ready to provide recommendations attractive place in Bali outside the program that we offer. During the trip, our car is equipped with air conditioning and a driver who has been trained so your trip feel comfortable. 21;00 – Back to Hotel. Duration 6 – 7 hours, extra time $ 5/ hours, private tour.